tasty tuesday – still, the best pasta salad ever! A Sonday or two ago I had such a craving for a good macaroni salad – I told hubs I was scouring the ‘frig for all my favorite ingredients, this is what I came up with. Cook the macaroni in salted water according to package directions. Drain and rinse under cold water to cool, set aside. Mix together mayo, vinegar, sugar, salt, and pepper. Splash enough milk to make it pourable. Splash in pickle juice for extra flavor punch. Taste and adjust to your personal preference. Set aside. Stir in olives, red peppers or pimentos, pickles, and green onions. Add more if you wish. When finished adding ingredients, splash a in a little more pickle juice, stir. If necessary, add the remaining 1/4 cup dressing. Garnish with chopped onion greens or fresh sprigs of parsley. Serve and enjoy. About 12 half cup servings. I never met a noodle I didn’t like! Yum! I am with you – I love pasta and I am not a snob about it! I am however not to be trusted with an entire bowl of it in my house when I am here all alone! 😉 Next potluck… I will have to give this a try! Sounds yummy! How funny! 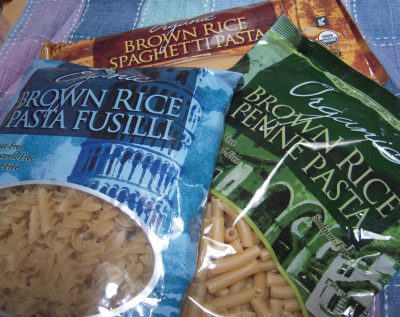 I think I am turning into a pasta snob, too! I have been trying to buy more organic, and I swear it really does taste better! This salad sounds good, the pickle element intrigues me. I will have to put it on our menu! I love that you commented Melissa!!! Oh no! A pasta snob? I love you girl!!! That sounds wonderful! Does the gluten-free have a very different taste or texture? It does, Shelby – a little different texture but you do get used to it. 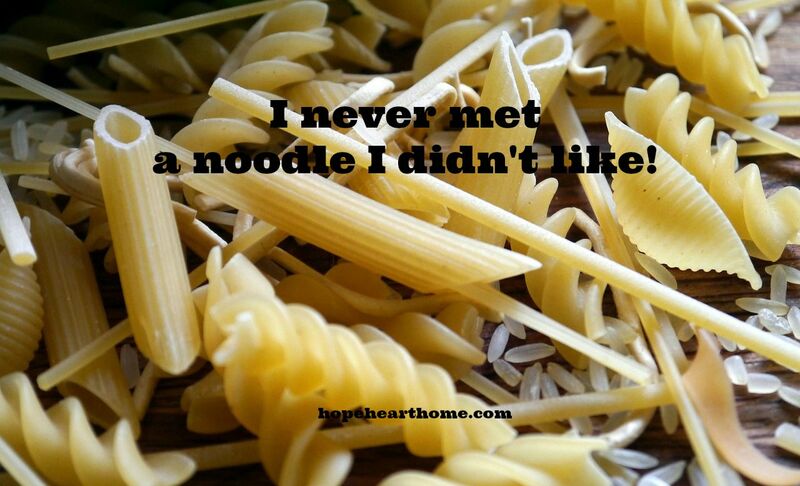 You are right – never met a noodle I didn’t like. And, you know what? My mom loathed pasta!!! What? This sounds amazing! I’ll have to try it sometime!